The Financial Services Authority (FSA), the British financial regulator, is proposing that British banks should start recording the phone calls of the investment bankers and traders in their employ, a rule that if passed would lead a crackdown on insider trading. 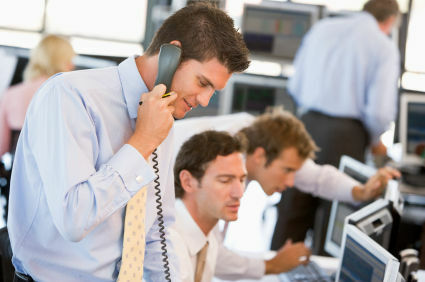 The FSA aims to impose the new rules from November 14 2011 but banks are wary of the new proposals. The fear is that the new rules will be expensive to banks, will implicate them in the breaching of privacy laws and would even lead to duplicate recordings should new European policies require banks to undertake the same processes. Reuters reports that one global investment bank has totaled the cost of monitoring and recording the BlackBerry handsets issued to its front office staff, amounting to a cool £2.6 million per year. With companies starting to issue a varied range of smartphones, the cost of recording different handsets would possibly inflate these costs. The imposing of the new wiretap rules would almost certainly lead to a reduction of insider trading but could possibly lead to workers finding alternative methods of communication or resorting to privately owned mobile handsets to disclose deals as a result. Read next: Is tethering for Windows Phone 7 lurking beneath the surface?